Olivia Palermo's affection for Zara is repeatedly apparent. Time and again, she wears new pieces from the retailer both off duty and on (a few examples here, here, and here). She even recently revealed that Zara is her best strategy when packing for a trip, saying "I realised that wherever I go, I can stop in at Zara." 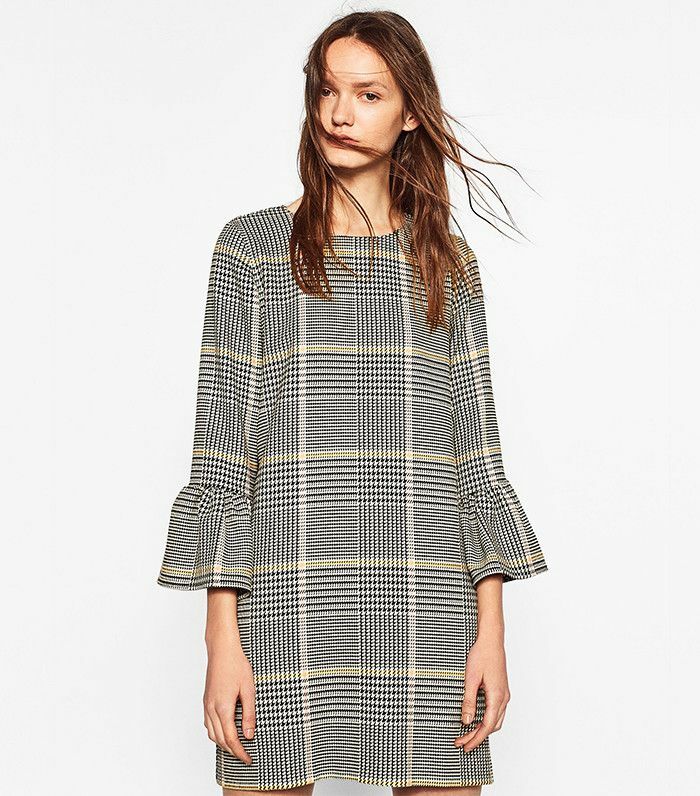 We've found that another great strategy when combing through Zara's massive inventory is to ask ourselves What would Olivia Palermo buy? And that's exactly what we did for this roundup, as the style star always finds the best stuff. We've noticed a few themes when it comes to the Zara pieces that Palermo gravitates towards, including suits, button-down blouses, track trousers, and polished outerwear. Luckily, its current offerings are chock-full of these types of items. So if you love Olivia Palermo's style and you're seeking a few new Zara pieces to add to your wardrobe, keep scrolling to shop 17 pieces that we think she'd buy right now. We could see Olivia pairing this with tights and flat suede over-the-knee boots. Palermo wears her Zara suits on repeat. A coat is the easiest way to try this season's military trend. Wear this with high-waisted pants and skirts. Palermo loves a heeled lace-up ankle boot. This dress looks so expensive. Why settle for plain-hemmed trousers? Palermo recently wore this during fashion month. This is the type of thing she wears with leggings and sneakers after Pilates. Dress these on-trend pants up (à la Palermo) or down. A little fur makes everything better. Pair this with loafers for the perfect Thanksgiving outfit. Olivia loves to incorporate animal print into her outfits. Wide-leg cropped trousers are a major component of her wardrobe. Accessory-loving Palermo would wear this with a blazer and shift dress. This would look even cooler with metallic ankle boots. Just add skinny jeans for a Palermo-approved date night look. Find out what Zara's new favorite trend is here.